Yes, tonight’s blog is a tribute to those lovely people who contact you by social media, and email, that you’ve never heard from before, and are never likely to do so again, once they’ve dealt with you. Yes, all the variations of scammers. Lets be honest, I can’t imagine there is anyone who hasn’t had one of those emails from West Africa (mainly Nigeria), offering you a large sum of money, if they help you to secrete money out of their country. I know, I think that was the first major scam that people fell for, mainly I suspect through pure greed. Yes, the only people who got rich out of it, were the scammers! To be honest, the only surprise is that people are still sending it out, and more frighteningly, people are still falling for it! Not that I’m totally innocent of being scammed, they got me not so long ago, unfortunately. Yes, I got done, by my sad situation, of trying to find a job. Thankfully, it only cost me £100, not more, as many probably get stung for. Fine, the wages looked too good to be true, and so it proved. Unfortunately, it was only after I’d sent the money, and not heard back from them, that I did a little investigating. The website looked genuine, until you looked between the lines. All the favourable reviews were from Australian companies, which for a firm based in Somerset, would be a bit strange. And yes, when I put the phone number into Google, I found out the bad news, I’d been had! Why anyone wants to prey on the poorest, most desperate people, I have no idea, but it seems they do. Amusing thing was, when they tried to pull the same routine on me, just a week later. Only consolation now, is that if its not an agency, or a major company, and they contact me direct, I look before I leap. Yes, 3 more have tried it on, but I havent bitten. One was a financial company, seemingly with a London phone number, but that was fake! Yes, if you ever see an 0203 phone number, its almost certainly a scam! Another was some Chinese company, a very weird email, but when you checked the email address out, warning signs come up! The third was supposedly a US company, but the snag was, the head office phone number was on the East Coast, but the company address was in Texas! Yes, fake! 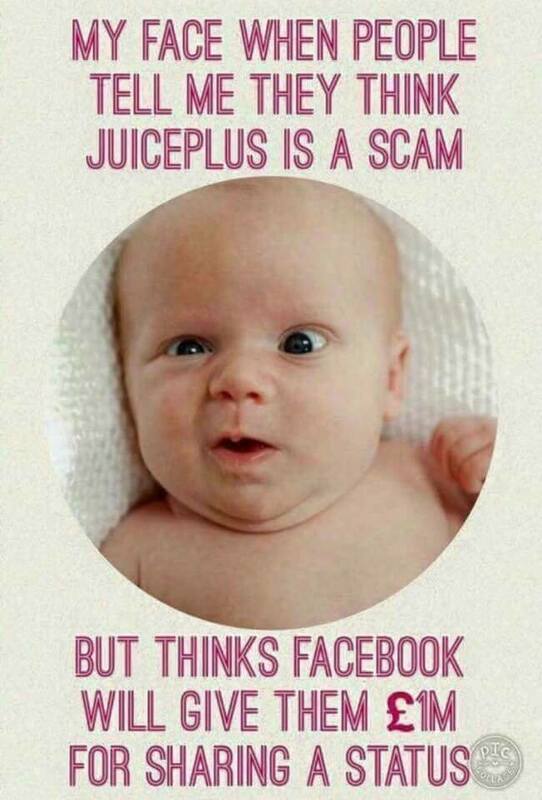 And yes, before you ask, Juice Plus is genuine, I’m told its very good, so if you want agent details, let me know, and I’ll put you in touch. Me, I might, if I had any money! But yes, what I love is the comment about how many people believe that a random stranger on Facebook wants to give them large sums of money, just for liking, and sharing their posting! Please, get real! These people are simply after large lists of names, and details, that they can use for other purposes. Yes, fine, if someone offered me a million now, that could be genuine, I’d probably request to meet them personally to get the funds! So yes, Bill Gates, send me a flight ticket to Seattle, as well as the million pounds! Or anyone else, you get my drift?